Tyrell’s final opponent was Francesco Damiani from Italy. Damiani was about 225 pounds of brutal, awkward mayhem. He was an extremely determined brawler who earlier defeated the giant Cuban, Teofilo Stevenson. Stevenson had defeated Tyrell several tomes in international competitions. This obviously wasn’t going to be a walk in the park for Tyrell. Tyrell was coming off an impressive victory over Lennox Lewis earlier in the box-offs…. …Suddenly I was popped out of my reflective trance by Bobby Dance’s voice, “Hey, your brother’s getting ready to go next.” I was paralyzed with anxiety as I sat on the sofa peering at the TV as Howard Cosell broke down their bios while the fighters were escorted to the ring by their trainers. This was the most anticipated bout of the evening. “The Super Heavyweights.” Tyrell was bouncing in his corner, looking down, but with a no-joke determination look in his eyes I had never seen before. Damiani was pacing on the other side of the ring and snorting like a starving wolf about to pounce on a meal. My heart was pounding so fast and hard, I wondered if Bobby felt the vibrations from it. The horn finally sounded indicating the beginning of the first round. The two heavyweights charged each other looking to establish their dominance. Damiani’s punches were menacing, looping hooks with very bad intentions. Tyrell shot mostly straight jabs and right hands down the middle with an occasional hook to the head or body; Tyrell’s footwork threw Damiani a little off balance as they traded combinations. You could hear the excitement in Howard Cosell’s voice as he gave his prediction of who he thought won the first round. Although he had Tyrell slightly ahead, I still felt like it was too close to call and it could’ve gone either way. The second round was almost exactly like the first round. Damiani’s determination sure wasn’t making things any easier. The winner of this bout would obviously have to take the third round big. By now the anxiety had me numb as it vise-gripped my insides. The TV camera zoomed in on Tyrell’s corner and I noticed a wild look in his eyes that I had never seen before. I thought about the lecture I gave him the night before. I thought about his sore hands and broken down body. I knew all that was left inside was will and spirit. The look in his eyes clearly said “Do or Die.” Finally the horn for the third round went off. I felt my body tremble from the adrenaline. Damiani’s trainer must’ve told Damiani he was behind and needed to win that third round to be victorious because he stormed out of his corner like his life depended on it. But Tyrell met him in the middle of the ring with the same kind of determination. Now there was over 450 pounds of Super Heavyweight brutal perpetual motion. Damiani was a windmill of menacing haymakers as Tyrell exploded nonstop combinations with head movement and angles. By the end of the round, Howard Cosell’s excitement made him abandon all of his composure as he screamed the blow-by-blow action. It was clear the two Super Heavyweights were exhausted and driven by will alone. Tyrell appeared to end his punch exchanges with an extra jab or hook. The round finally came to an end. Now the anxiety was higher than ever before as we nervously awaited the judges’ decision as to who was the winner of this explosive Super Heavyweight Gold Medal Championship bout. As the judges tallied the scores, you could’ve heard an ant burp. The referee finally ordered the Super Heavyweight contestants to the middle of the ring. He grabbed both of their wrists in anticipation of the judges’ nod so he could raise the hand of the winner. Tyrell uncontrollably did a “jogging in place” dance with his head held down, bracing for the final decision. I thought I was going to crap a golden brick. …Lonnie Liston Smith’s “Quiet Moments” oozed out of my stereo speakers in my car as I slowly cruised through the streets of West Philly in a hypnotic trance of ecstasy as I soaked in the reality of this night’s history making event. God had surely graced our family this evening. When I arrived at my apartment, my phone was ringing. I rushed in and answered the phone. It was Carolyn asking me if I was alright. I answered, Sure. I’m fine. I just got overwhelmed there for a minute. I’m gonna get back with you later so we can celebrate.” Before she could reply, the incoming call tone beeped through. Anxious to take the call, I asked her to hold and pressed the answer button on the phone. Through all the partying noise in the background I heard Tyrell screaming to me “You seen it? You seen it? I did it.” My body felt all tingly and my eyes got misty again when I answered, “Yeah man, you did it. It was beautiful.” The he said “Yo man, Imma call you later or maybe tomorrow and tell you all about it. Imma go kick it wit mom and dad now.” I hung up the phone and collapsed backwards on the bed and just laid there in the darkness for the rest of the night, visualizing and convincing myself that this was real and not a dream. The next few weeks were crammed with celebrations and parades; Tyrell even went to Washington D.C and met President Ronald Reagan at the White House. One evening, about a month later, I was laying in bed chilling and cracking up watching ‘The Honeymooners’ on TV when the phone rang. I answered and was surprised to hear the voice of Shelly Finkel on the other end. Shelly Finkel was a successful promoter who helped promote the famous rock concert “Woodstock” and now he was promoting and managing world-class boxers. He had teamed up with the famous boxing manager Lou Duva and signed my brother, Tyrell, and the other gold medal champions Mark Breland, Pernell Whitaker, Meldrick Taylor and bronze medal champion Evander Holyfield from the 1984 team. It was time for them to turn pro and Shelly was asking me to report to their training camp. I had already turned in my resignation letter to the administration at my job a week earlier when Tyrell asked me to accompany him in his quest to win the world heavyweight championship once he turned pro. Of course, I was more than ready for this mission. It was totally a dream come true. After I hung up the phone, I lied back on the bed, turned on the jazz and went into another meditation. As exciting as things were looking at the moment, there was no way of telling what crazy dramatics and wild experiences were in store for me during the upcoming boxing endeavors. Although I had some pretty stimulating experiences as a pro-boxer on the club fight scene in Philly for several years, I was about to take it to the world class level now and the adventures and dramatics would be escalated one hundred fold. This year marks the 30th anniversary winning victory of the greatest Olympic boxing team in history. The boxers in this Olympiad were voted the best ever, winning the most gold medals than any other Olympic boxing team in history. These boxers went on to have the most remarkable and impressive professional careers and should never be forgotten. A few of my experiences with these great boxers are detailed in my memoir, The Sweet Sucker Punch, which has earned a 5-star rating on amazon.com. A sucker punch is an unexpected blow that comes suddenly and without warning, often resulting in major damage. It is during these times when your comeback proves to be the true testament of your strength. It’s during these times when history is made and great stories are cherished and shared with generations to come. These are the kinds of stories readers will find in my book. My name is Xavier Biggs. I am the owner and head trainer of the Decatur Boxing Club in Decatur, GA, Director of Boxing for the 9Round boxing franchise, and boxing trainer for A-List celebrity Usher in his upcoming starring role as Sugar Ray Leonard in the movie Hands of Stone. Also, I am the older brother of 1984 Olympic Gold Medal Superheavyweight Champion, Tyrell Biggs. I myself am a former professional boxer that came up under the frustrating ranks of the Philly club fighting scene during the 1970s. Without a promoter, my boxing career never reached the level and caliber required to become a huge success in the unforgiving and challenging world of Philly fisticuffs. This turned out to be a blessing in disguise, my struggles and frustrations without support and backing schooled me significantly well and helped to qualify me to be a very useful assistant during Tyrell’s professional boxing career. My enriching experiences with Tyrell’s camp exposed me to the world class spirit and character that created legendary champions of the sweet science. Gold Medal Champions Pernell Whitaker, Meldrick Taylor, Mark Breland and Bronze Medal Champion Evander Holyfield were all stablemates with Tyrell under Lou Duva and Shelly Finkel’s management, and Georgie Benton’s training tutelage. Consequently, my first job was to assist Tyrell, however, my skills proved up to par enough to allow Lou and Georgie to get more use out of me with competitive sparring to help sharpen the Olympic champions up for their professional bouts. I was the only one that wasn’t a high profile name or champion so as a result I was like a sponge soaking up every drop of the world class experience. It was a magically stimulating time that I will never forget. I also had the opportunity to trade leather with other Main Events champions that were close to my weight class such as Johnny ‘Bump City’ Bumphus and Rocky Lockridge. It was during these experiences when I began to write memoirs. A few years ago I shared some of these stories with a buddy. I was passionately encouraged to put them into a book. Actually, I had so many stories I was charged with putting them into several volumes…my first is titled The Sweet Sucker Punch. My book catches the reader off guard with its family friendly, easy to read positive and inspirational true stories of honor and character that I experienced during my encounters with some of these legendary boxing champions. My book also includes stories on some of Philly’s uncrowned greats that I had the privilege of connecting with during my club fighting days. Although I’m not a writer by profession, the fact that my book earned a 5 star rating shows it was written from my soul and is the reason why it has such an impact on readers. Legendary trainer Don Turner and world class ring announcer Henry ‘Discabolating’ Jones both agree that it was a great, entertaining and enlightening read. 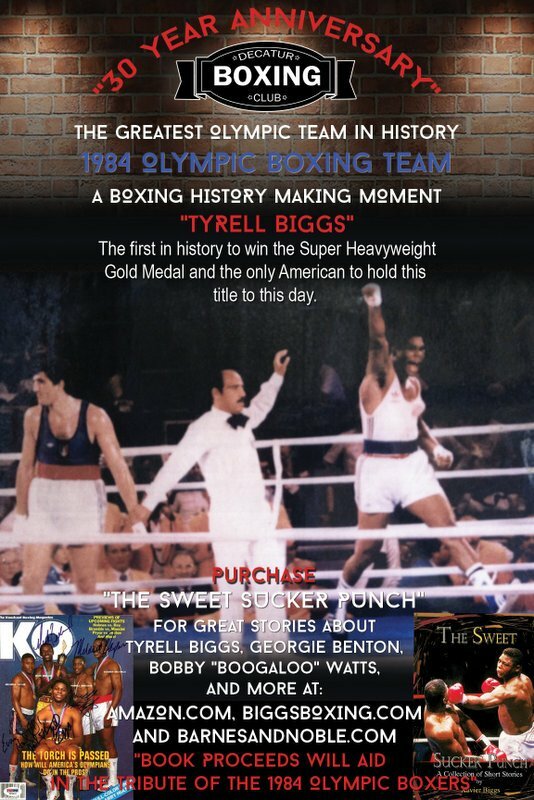 I am passionately motivated to promote this book and to use some of the proceeds to help bring tribute to those seemingly ignored and forgotten, historic legendary boxing icons. 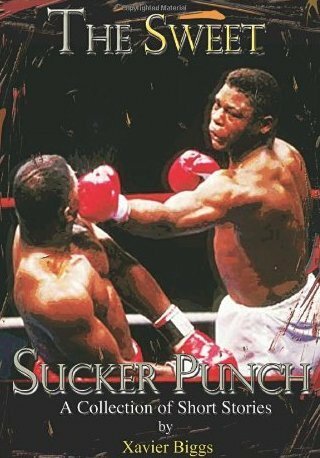 The Sweet Sucker Punch can be purchased at amazon.com, Barnes and Noble, and at biggsboxing.com for only $10.